A robust social media presence can do wonders for your business, but keeping up with Facebook, Twitter, and Instagram alone can be a chore. Social media management tools help you manage all of your profiles and pages in one place, so you can focus instead on the product or service you're promoting on those channels. Here, we'll compare two of the most popular social media management apps, Buffer and Hootsuite, noting where each one excels and which one might be right for you. Although nearly every business under the sun is on social, not all of them need the same tools: Some benefit from a simple and efficient management system, while others need to keep track of multiple social media teams all from one dashboard. Buffer and Hootsuite both help you manage what and when you're posting and track how you're performing, but they vary quite a bit in terms of their product offerings. Here are the features we're comparing. Click on the section that matters most to your business, or jump to the end to see our complete comparison table. Buffer is cheaper for businesses, but Hootsuite gives you more at every plan level. Buffer's and Hootsuite's pricing each follow a similar structure. Both allow you to add up to three social media accounts on the free version and schedule a limited number of posts to each. Hootsuite limits you to 30 scheduled posts total, while Buffer allows 10 scheduled posts per social media account. Each service also offers a modestly priced Pro version for $15 per month. In Hootsuite, this allows you to add up to 50 social profiles and up to 10 users who can manage those accounts. It also removes the limit on how many posts you can schedule. Buffer, on the other hand, is far more limiting at this tier. You can't add any new team members, you can only schedule up to 100 posts per social media account, and you can only add eight social media profiles. But Buffer starts to look more appealing when you reach the business tiers. The service offers three business-level plans, ranging from $99 per month for small businesses to $399 per month for large organizations. These tiers allow you to manage 25 social media accounts on the low end, up to 150 on the top tier. They also support up to 25 additional team members, and every business tier allows up to 2,000 scheduled posts per social media account. The business plans also come with advanced social analytics, so you can dive into which demographics are responding to your campaigns. Hootsuite, on the other hand, starts its Business plan at $599 per month, while the company will only disclose pricing for the Enterprise plan if you contact them directly. This plan is geared more towards large-scale businesses, allowing you to create and manage multiple large teams across your organization, monitor how they're engaging with your followers, and get deep analytics information. You can only sign up for this plan by requesting a demo through Hootsuite, so if your company is at a level where you might consider this kind of plan, you'll want to reach out to Hootsuite before you pull the trigger. We'll note features below that require the Business or Enterprise plans, but suffice to say you should have discussions with the company directly before signing up for either one. Hootsuite supports more social networks, but Buffer still supports all the ones you're likely to need. It's worth pointing out that "supporting" a service doesn't mean the same thing on both apps. Both Hootsuite and Buffer let you post to Twitter, for example, while only Hootsuite lets you see your timeline, read replies, and respond to them. This helps explain why Buffer doesn't support YouTube. You can't upload to YouTube from either service, and without that, there's not much reason for Buffer to support it at all. You can, however, use Zapier to connect Buffer to those stragglers. For example, you can automatically add new YouTube videos to your Buffer queue, put new WordPress posts on the Buffer schedule, or integrate with many more services. Overall, Hootsuite is the option to go with if you want to monitor your social media feeds, but Buffer will do the trick for posting to your channels. 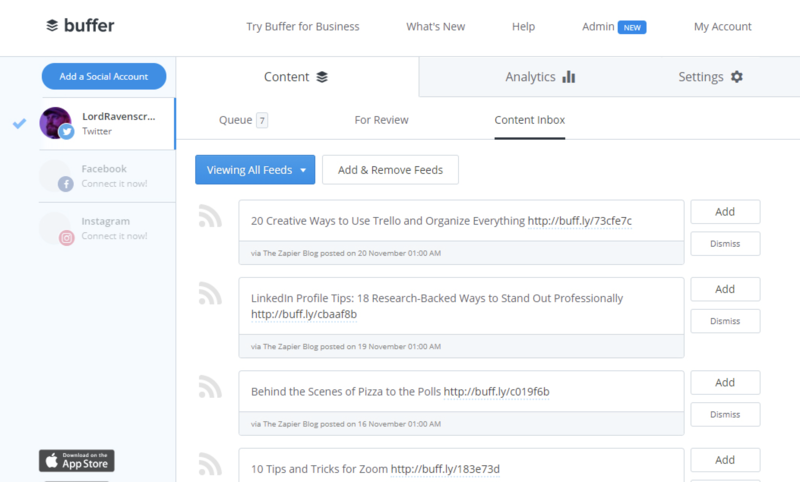 Buffer offers a cleaner user experience, while Hootsuite comes equipped with all the bells and whistles. Buffer and Hootsuite can both post to your social accounts, schedule multiple posts ahead of time, and even tweak your message for each platform to customize it for your audience (what works on Twitter may not work on Facebook, after all). 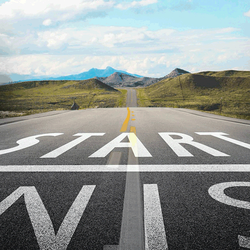 But when it comes to scheduling content for you, the two have very different approaches. Buffer allows you to create a custom schedule, called the Buffer Queue, that dictates when posts should go up. When you add a post, it will fill the next available slot. So, say you have a schedule that allows for posts at 9 a.m., 3 p.m., and 8 p.m. every day, but you already have three posts scheduled for today. The next post you add will go to the 9 a.m. slot the next day. You can manually schedule posts for any time you want, but if you don't want to think about it, the queue is a handy basic structure that you control. You can even customize the posting schedule per day, so you could have fewer posts over the weekend, or a special schedule on Friday. Hootsuite does more of the scheduling work for you, but at the expense of some control. If you turn on AutoSchedule, Hootsuite will pick a good time for your post to go live. 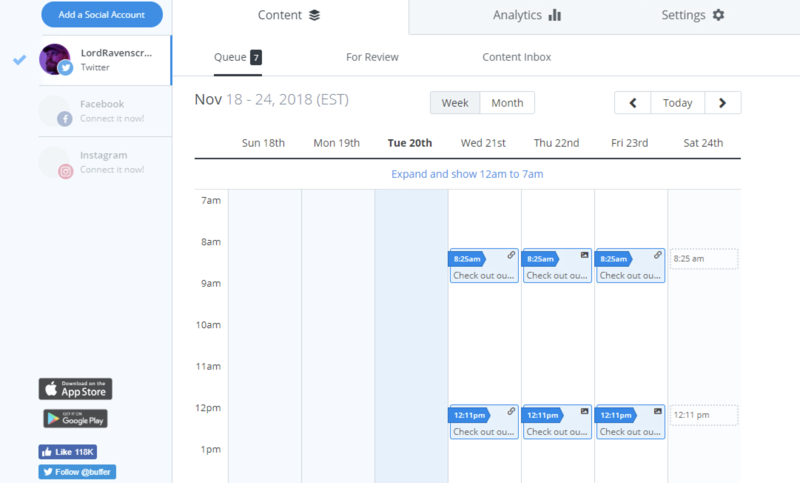 You can't decide what schedule Hootsuite uses (unless you schedule posts manually)—in fact, Hootsuite might decide to schedule some things in a different order than you submitted them. So if, for example, you want to schedule a bunch of tweets and don't particularly care when they go up or in what order—as long as they're not all at the same time—Hootsuite's approach is perfect. The two also come with some significant limitations for free users. Buffer only allows you to schedule (whether via the queue or direct scheduling) ten posts per social media account. For sites like Facebook that discourage frequent posts, this can be plenty, but scheduling more than a couple days worth of tweets can hit that limit quickly. Hootsuite, on the other hand, has a hard limit of 30 scheduled posts across all accounts. So, scheduling a couple dozen tweets can impact your ability to schedule posts on Facebook or Instagram. If you want to upload a large number of posts at once, Hootsuite also has a unique edge with its Bulk Composer. 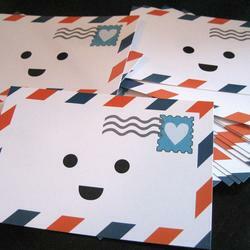 It allows you to prepare up to 350 messages in a CSV file and upload them to Hootsuite en masse. This feature is only available for Professional and higher plans, so if you have a large business with a sprawling social media presence, this might be a heavy finger on the scales. 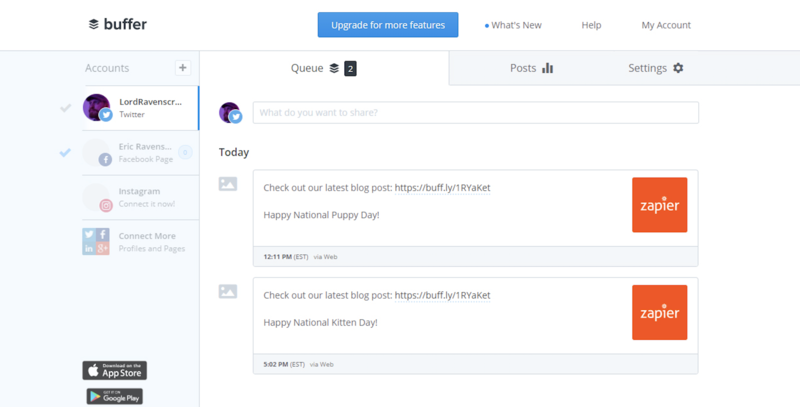 Buffer shows your scheduled posts, while Hootsuite shows your timelines, replies, and more. The difference between Buffer and Hootsuite is never more clear than when you're using their dashboards. Buffer's dashboard is sleek and clean, and you'll only see a queue of the social posts you've scheduled. Meanwhile, Hootsuite has a usable, if not quite as attractive dashboard—but it's far more capable. You can use it to view your Twitter timeline of accounts you follow (the same one you'd see if you opened the Twitter app), follow Instagram hashtags, or track mentions of your Facebook Page. To a certain extent, it's apples and oranges to even compare them. 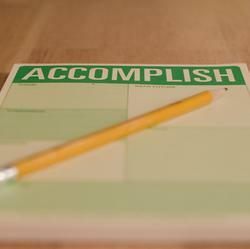 If all you want to do is manage your own scheduled posts, Buffer is great. If you want to follow other accounts and manage replies to your posts, then Hootsuite is the only one that's capable of doing so (unless you use Buffer's separate app, Buffer Reply, which you can read more about below). It's pretty cut and dry. But in the areas where they overlap, it's still worth comparing. In that narrow field, it's hard not to give an edge to Buffer. The comparatively minimal interface makes it easy to see which posts you have scheduled, how many posts you have queued up for each account, and edit any posts you need to. In the Pro tier and higher, you can even see your posts on a calendar view so you can plan out your week's (or month's) worth of posts. Hootsuite is a little more indirect. On your dashboard, you have several tabs, each of which can contain multiple columns for one or more social networks. For example, you could have a Twitter tab with your timeline, replies, and any Twitter lists you want to follow, and your scheduled posts can be one of those columns. You could choose to make a tab with all of your scheduled columns in one place, but Hootsuite doesn't offer a place to find all your scheduled posts by default. It's slightly less intuitive but more customizable. For bigger teams with specific needs, this might be ideal, but Buffer is definitely simpler. 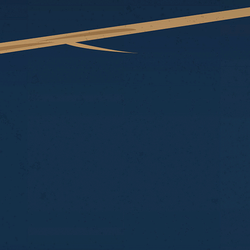 Buffer works for small teams, but for large organizations, go with Hootsuite. Whether Buffer or Hootsuite works for you might depend on the size of your social media or marketing team. They both allow admins to assign members of your team to specific social media accounts (for example, it would make sense for Microsoft to keep its Windows and Xbox accounts separate). For small teams, Buffer is fine for this workflow, but Hootsuite has more tools to scale for larger organizations. When you share access to Buffer with your team members, you can manually choose which social media accounts they have access to. You can allow them full posting rights, or you can require approval before posts go out. But that's about the extent of Buffer's team management powers. For small organizations, it's plenty. For large companies that might have dozens or even hundreds of social media accounts, it can become cumbersome. Hootsuite gives you more tools to break up your employees into different categories. You can create Team Members, Teams (groups of Team Members), and Organizations (groups of Teams). 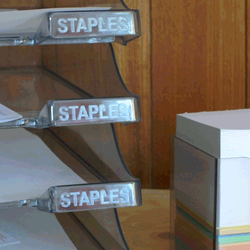 These labels make large-scale marketing operations accessible. You could, for example, give an outside agency access to one set of social media accounts, while your internal creative team continues to manage the rest of them. To continue the Microsoft analogy, Hootsuite makes it easy to give someone access to all the Xbox social media accounts without having to pick them all out one at a time. Only Hootsuite can create and manage ads. Sometimes, you might need to run a paid promotional campaign as part of your social media strategy, shelling out to run posts that show up in the feeds of people who don't yet follow you. This usually involves establishing specific details about what the advertisement is, where it will be placed, and how long it's going to run. Currently, Hootsuite is the only social media management platform offering advertising services. This feature lets you launch and manage ad campaigns across multiple social media platforms from one dashboard. It's a separate product from Hootsuite's social media manager: Hootsuite Ads, and it'll cost you. But if you want to get the most out of an ad campaign and stick to the same company you're using for everyday social tools while you're at it, then Hootsuite Ads is worth looking into. Buffer, on the other hand, doesn't offer a comparable product. You can still run ad campaigns through Facebook Ads or Google Ads, but you'll have to manage each one separately in their own proprietary tools. Or you could use Hootsuite Ads to manage your ad campaigns while still using Buffer for your day-to-day social media management—the two aren't mutually exclusive. Buffer's separate app, Buffer Reply, is expensive, but it offers more tools than Hootsuite's basic package. Social media is a two-way conversation. Hootsuite and Buffer offer very different ways to respond to comments and messages on social media so you can manage that conversation. With Hootsuite, it's built directly into the normal product you use for everything else. 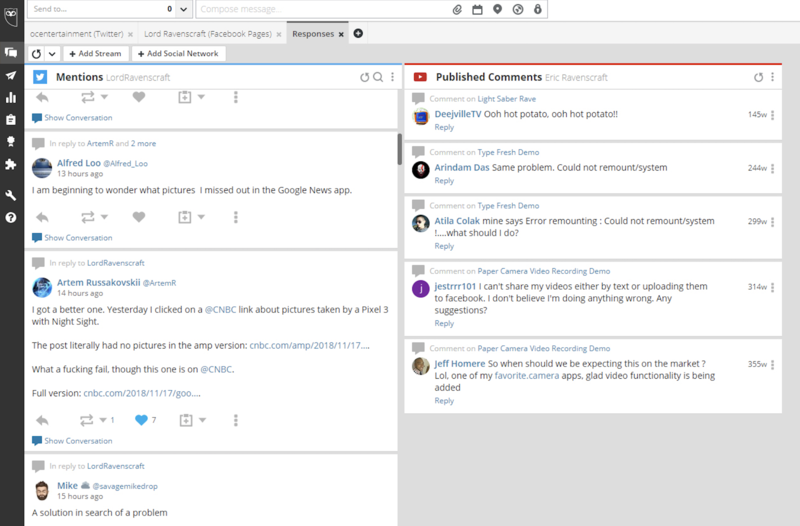 Because Hootsuite allows you to customize your dashboard however you want, even the free version is well-suited to managing your comments and messages. You can, for example, create a tab with a column for your Twitter mentions, YouTube comments, and Facebook messages, and reply to all from one spot. Paired with Hootsuite's team management features, it's pretty easy for your social team to manage communities and stay engaged with the conversation your customers are having. Buffer, on the other hand, uses an entirely separate, much more expensive application called Buffer Reply. The basic version of this app costs $50 per month for one user to manage one social media account. Adding another user costs an additional $25 per month, and each additional social media account costs $10 per month. In exchange for that high price tag, you get a wide array of powerful tools. Buffer Reply allows you to assign conversations to a certain team member, add notes to conversations so you can remember when someone reached out before, and even see which of your own team members are responding in real-time. The app also integrates with Slack so you can get a notification in your chat when you receive a new message or reply. The upgraded Business plan (which starts at a whopping $225 per month) provides tools to monitor keywords on Twitter, automate how incoming messages are tagged and assigned, and even export CSVs of your reports so you can bring your customer service data into apps like Excel to further analyze how to improve your social media strategy. Buffer Reply being a separate (and expensive) app means it's rarely ideal for anyone but large businesses. Hootsuite, which already scales well for large organizations in other areas, offers basic conversation management features that will probably be enough for most smaller organizations. Buffer more easily monitors RSS feeds, but Hootsuite is better at keeping an eye on social trends. Unless you work for a news organization, filling your feed with original content every day can be taxing. Staying engaged on social media often means finding other content online to share and comment on. Content curation tools from Buffer and Hootsuite help you look for articles, posts, photos, or videos that your brand can share and provide commentary or insights on. Buffer's primary tool for this task is called the Content Inbox, which is only available for Pro and Business plans. This lets you add RSS feeds to a tab in the Buffer dashboard to find articles and then add them to your queue with a message. If you use one of the lower tier plans, you can use tools like Pocket, Feedly, or Zapier to add content to your queue, but you'll be in charge of finding a lot of it yourself. Hootsuite gives you more tools to find content relevant to your business within the app itself. You can create columns with keyword or hashtag searches on Twitter or Instagram, alongside columns of the people or lists you follow, and share or retweet posts you find with just a couple clicks. It's more flexible than what Buffer offers, but it does lack the ability to monitor RSS feeds within the service, which is a bit limiting. Both services also offer browser extensions to help you share things you come across while you're going about your online day. Buffer's extension on Chrome, Firefox, and Safari is like a portable version of the web app. You'll get the same share box where you can add posts to your queue for all your social networks and customize the message for each service. So, for example, if you're browsing the New York Times and find an interesting article your followers might like, you can click the Buffer button in your browser's toolbar and schedule a post without leaving the page. Hootsuite's extension, Hootlet (for Chrome and Firefox), is far more involved. Like Buffer, you can use it to add links or posts to your queue. However, it will also add a sidebar to your Google searches to show a feed of recent tweets that mention what you're searching for. You can even retweet or reply to the tweets you find in this feed. This is a handy way to keep an ear out for what people are saying about a topic you're researching. The only downside is that the Twitter feed only sorts by most recent tweets, which might not be the highest quality or most influential tweets on a topic. Still, it's better than nothing. Overall, if you want to keep an eye on RSS feeds, Buffer might feel a little more comfortable. Hootsuite, on the other hand, helps you monitor social searches, Twitter lists, and trending topics more easily, which gives it an edge. Hootsuite gives more analytics features away for free, but Buffer is cheaper for large business needs. Throwing a social media strategy at the wall isn't all that helpful if you can't see what sticks. 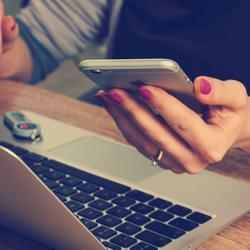 Hootsuite and Buffer both offer robust tools for analyzing how your audience is responding to your posts. 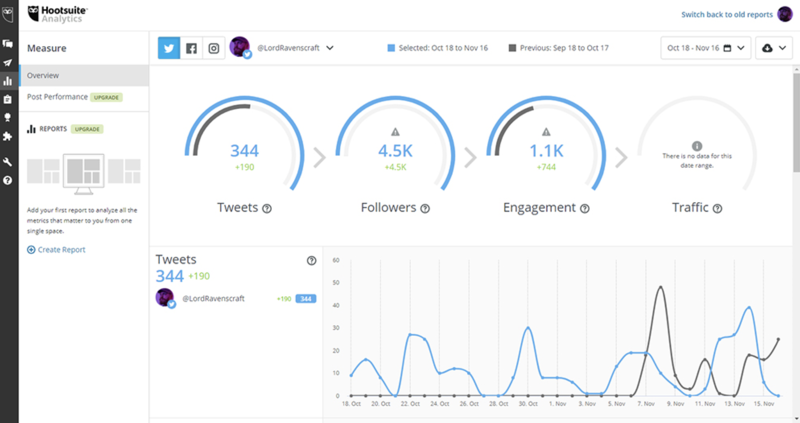 The free version of Hootsuite offers basic reports that allow you to see how many posts you've made, track your follower counts, and get a broad overview of your engagement rates. With the Professional Plan and up, you can build real-time reports (which they call Boards), measuring which posts people are engaging with and what age groups or demographics are responding. With the Enterprise plan, you can even see which teams in your organization are responding to your followers and how quickly they do so. Meanwhile, Buffer only offers analytics on the Pro and Business Plans. In the cheaper Pro plan, you can get a Posts Report that shows you which posts your followers have engaged with the most and how much they've clicked through. On the Business plan, you can get more detailed reports that show your engagement rates, follower growth, and even export data as a CSV file to analyze in other applications. Notably, Buffer is currently working on another separate app called Buffer Analyze to provide even more analysis tools, but it's only available in early access form right now, so it might not be ready to deploy for your business. 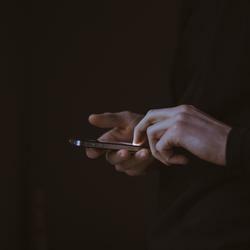 Both apps offer similar reporting features on performance and engagement, but Hootsuite gives at least a few of those features away for free, and includes real-time reports in the paid version. However, Hootsuite's business-level plans cost a lot more. If you don't need real-time reporting, but do want to export CSV files, it might make sense to look at Buffer first to keep your costs down. Hootsuite vs. Buffer: Which App Should You Use? Buffer offers a clean user experience that focuses on sharing your own posts and easily manages a small team. With cheaper business plans, it's ideal for an organization that's just getting started and doesn't have a ton of resources to devote to social media. On the other hand, Hootsuite offers more power-user tools that go beyond scheduling your own posts. You can use it to monitor your feeds, track topic searches, and get real-time information on how your social posts are doing. The business plans are more expensive than Buffer, but if you're working for a large organization with many separate teams, it's likely worth it. Pricing Free version with limits. $15/mo for Pro version with fewer limits. Business plans range from $99-399/month. Free version with limits. $15/mo for Pro version, workable for small businesses. Large business plans start at $599/month. Scheduling and Posting Buffer Queue gives you fine control over posting schedules. Automatically handles scheduling, but offers less control. Dashboard Experience Clean dashboard focuses on your own scheduled posts. Calendar view (Pro and up) lets you see a week of content at a glance. Customizable tabs provide high control over what you see. Can browse feeds of external content, as well as manage your own scheduled posts. 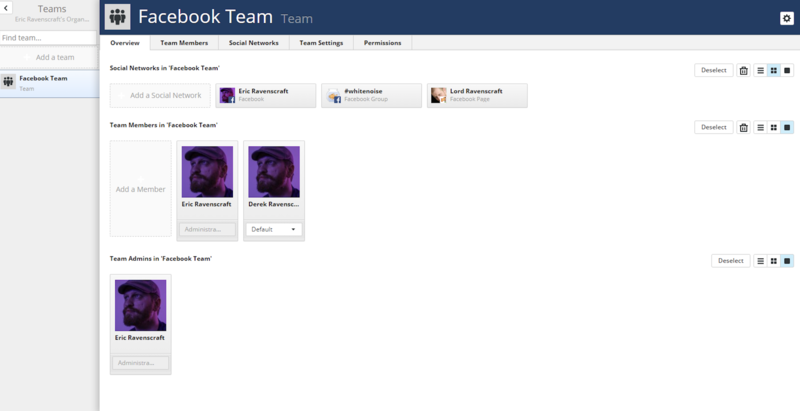 Team Management Admins can give users access to only certain social media accounts, require approval to post. 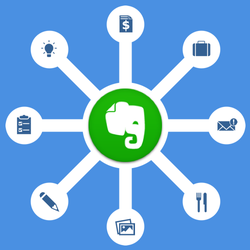 Admins can create multiple levels of teams, members, and access. Ideal for larger organizations with many members and divisions. Advertising No advertising support. 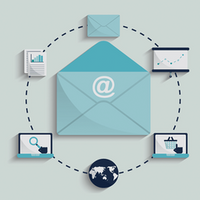 Manage ad campaigns through Hootsuite Ads. 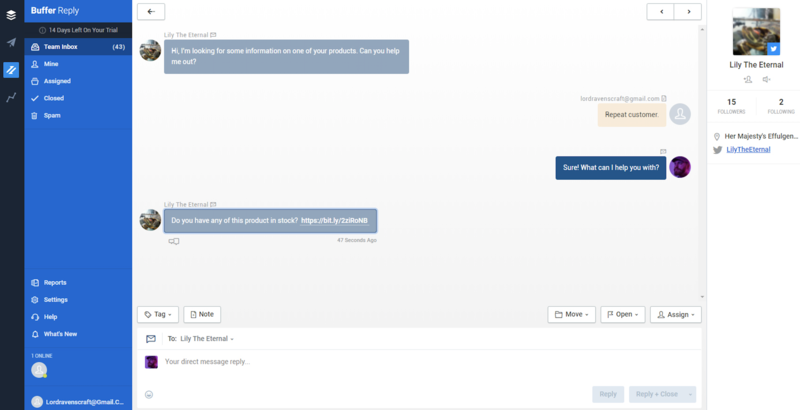 Conversation Management Separate app, Buffer Reply, features robust tools to manage messages, replies, add notes about customers, and oversee teams of customer service representatives. 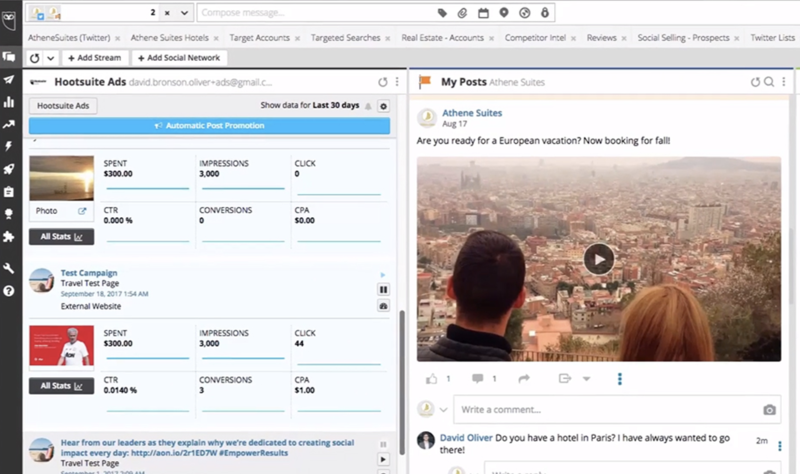 Tabs within Hootsuite dashboard let you monitor replies, mentions, and messages. Included with plan, but not ideal for mass customer engagement. Content Curation Ideal for monitoring RSS feeds, finding new articles to share. Ideal for monitoring social trends, keeping up with online conversation. Browser extension adds Twitter search results to Google search pages. Tracking and Analytics No analytics for free users. Business plans that include CSV exports and in-depth analysis tools are relatively cheap. Basic analytics for free users. Upgraded plans to get in-depth reports, CSV exports, and real-time data are expensive. Whichever social media management tool you choose, you can save yourself hours each week automating the process. Zapier's workflow automations, called Zaps, can automatically schedule posts in Hootsuite and Buffer whenever trigger events happen in the other apps you use most. Having trouble getting your whole team engaged on your social media management tool? Try Google Sheets instead. Zapier's integration can schedule messages in Hootsuite or Buffer whenever they're added to a Google Sheets spreadsheet. Need a content aggregator? How about a few? With Zapier, you can integrate Pocket, Feedly, and other content services to automatically schedule or publish posts. Want an unlimited RSS feed for your Buffer queue? Zapier will automate that for you. Increase engagement by shouting out any new Twitter followers. Zapier can automatically schedule a message in Buffer whenever you have a new follower. Automatically post your new WordPress updates to Buffer. Don't see the workflow you're looking for? Browse more Hootsuite and Buffer integrations, or create your own workflow with the Zap editor. If you want to explore your options further, take a look at our picks for The 11 Best Social Media Management Apps. Eric Ravenscraft contributed to this article. Joseph is a freelance writer based out of Richmond, VA who loves covering all things tech, business, and music. When he’s not writing, he’s most likely collecting vinyl, at a show, running, or finding the next great hole-in-the-wall restaurant.